Reg. 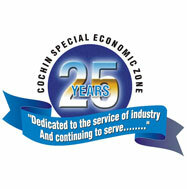 Office: Stone House, Market Road, Aluva, Ernakulam, Pin-683101, Kerala. 6. BRIGADE ENTERPRISES LTD Brigade Enterprises Ltd.
31. SANDS INFRABUILD PVT LTD M/s. SANDS Infrabuild Private Limited. 44. XCHANGING BUILDERS PRIVATE LIMITED Xchanging Builders Pvt Ltd.